Mathematical constants are those numbers that are special and interesting because they come up in the various fields of mathematics like geometry, calculus etc. These mathematical constants are usually named after the person who discovered it and they are represented by a symbol that is usually picked up from the Greek alphabet. Mathematical constants are by definition very important. In this article we will take a look at certain mathematical constants that are more commonplace than others. π is defined as the ratio of the circumference of a circle to its diameter. This is probably the most popular mathematical constant. So π is the circumference of the circle whose diameter is 1 unit. 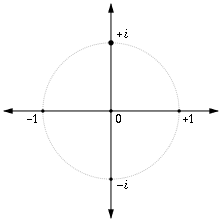 You might have seen it popping up when calculating the area of a circle (πr2) or the circumference of a circle (2πr). It has many uses throughout mathematics from calculating the area of certain shapes to the Gaussian integral in complex analysis. π is irrational and is represented by the small letter π in the Greek alphabet. e is also called the exponential growth constant. It is a very interesting number that shows very interesting properties. e is used in calculus. It is a very amazing number in general. The value of e can actually be calculated with compound interest. Imagine you have one rupee in the bank. The bank gives a compound interest of 100% per annum. So at the end of the year you will have 2 rupees. Imagine the bank, instead of giving you 100% per annum, gave 50% per six months. This is not equal to the above value. Therefore the final amount will be equal to 2.25 rupees (do the math). The value received has increased even though the principal is same. Imagine that for 33% per 4 months. The final value would be 2.36 rupees. Therefore it keeps on increasing. Then imagine how much you could get from 1/infinity % per 12/infinity months. You don’t have to. That number is e.
e is also used in many other mathematical fields. It is used in Bernoulli trials, derangements, asymptotics, standard normal distribution and calculus. If a graph is made with y=ex, it will show some unique properties too. At any point on the curved line formed on the graph, the y value of the point and the area under it are equal. i is a very interesting variable. It’s value is the square root of -1. It falls into the category of imaginary numbers, in contrast to real numbers. Being a quadratic equation with a multiple root, i is not calculable. But other relations for i can be seen. It follows a certain pattern. The pattern is (-1, -i, 1, i). This is only applicable if we start with i4n+2. This leads to the conclusion that in = in mod 4 . ‘Mod’ refers to the modulus function. √2 is a very well known mathematical constant. It is the ratio between the diagonal and side of a square. √2 is calculated by square rooting 2. It is based around the Pythagoras’ Theorem. Let us assume x represents length of one side of a square. Let y assume the length of the side adjacent to it. x = y. Let z represent length of diagonal. x2 + y2 = z2. This simplifies into 2x2 = z2. Therefore z = √2x. So the ratio z : x becomes √2x : x, which leaves you with √2. √2 raised to the power to √2 raised to the power of √2 raised to the po……. infinitely = 2 or √22. This article is writen by Aman Thukral of Amity International School Noida.